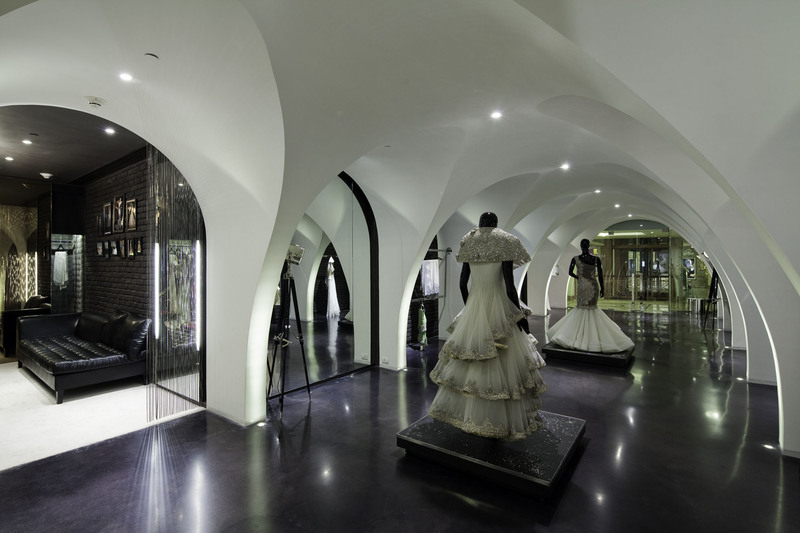 Interior Design of Manav Gangwani Showroom at DLF Emperio by Studio Lotus - ArchitectureLive! Manav Gangwani’s garments symbolize glamour, the silhouettes dramatic yet timeless. To create a shell for the garments our design response was to create a contemporary abstraction of a timeless form. 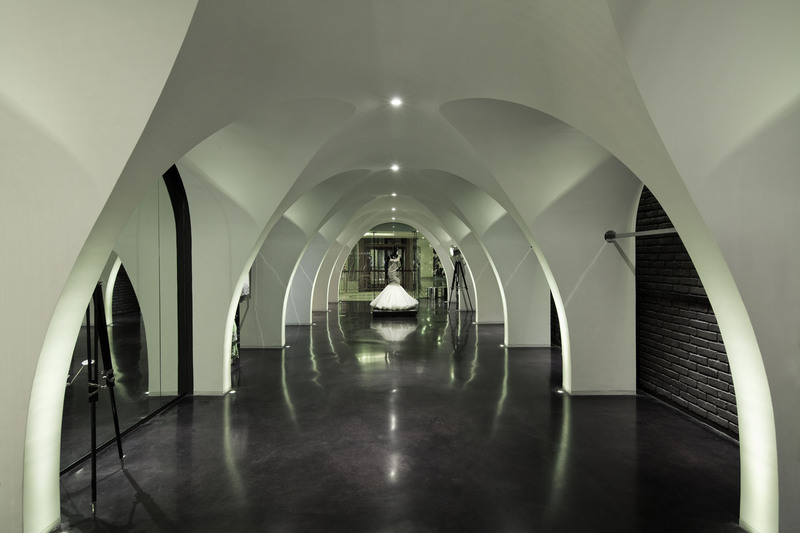 Our inspiration was the grottos- an intimate cave like space, which forms the foundation of many classical structures. We decided to work with a formal architectural expression rather than creating a decorative interior design experience keeping in mind the embellished quality of the garments on display. 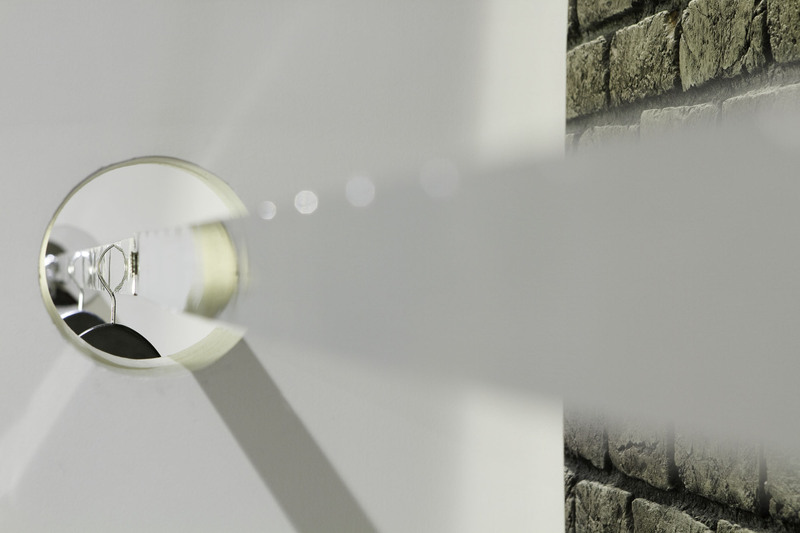 We created a series of framing devices, which helped us in creating individual alcoves for different collections and a central axis for selected showstoppers. 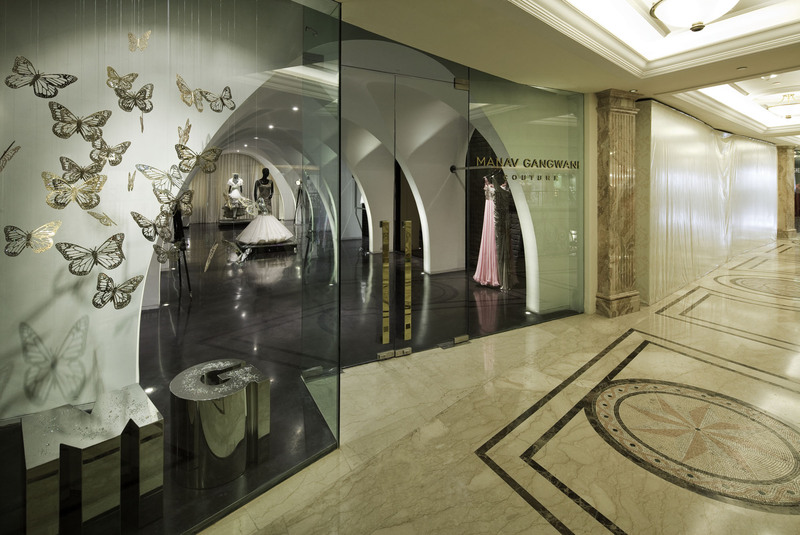 We wanted to create a sense of discovery in the store–from outside one sees a row of mannequins reminiscent of a ramp, the garments reveal themselves only when the customer starts exploring the store.Manav Gangwani’s garments symbolize glamour, the silhouettes dramatic yet timeless. To create a shell for the garments our design response was to create a contemporary abstraction of a timeless form. Our inspiration was the grottos- an intimate cave like space, which forms the foundation of many classical structures. We decided to work with a formal architectural expression rather than creating a decorative interior design experience keeping in mind the embellished quality of the garments on display. We created a series of framing devices, which helped us in creating individual alcoves for different collections and a central axis for selected showstoppers. We wanted to create a sense of discovery in the store–from outside one sees a row of mannequins reminiscent of a ramp, the garments reveal themselves only when the customer starts exploring the store.